Or, You can get there from here... but not this way. 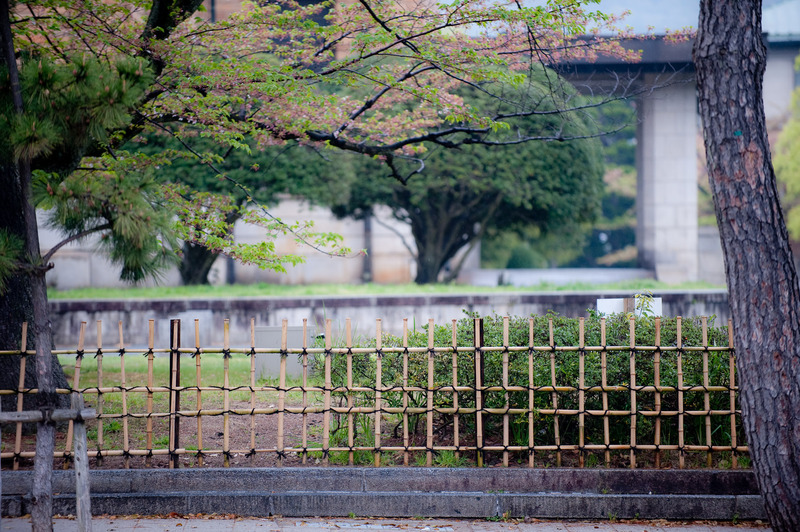 While waiting for the bus to arrive on the dizzily morning last week that Anthony rode the bus to school all by himself, I snapped this picture of a fence across the street, along the park-like grounds of the municipal museum of art. I think it's pretty. (Be sure to see the large version for the full effect... it's sort of arresting, but in a nice way). Can’t believe that your son is already going to school by himself?!. FYI, I’ve stumbled upon your blog while looking for biei pics (which I did found here! and many more beautiful pics too ^^) around spring last year. Love the pictures, going through the older post right now. ps: can I edit your pictures and use them as headers?